SOME brief account of the occasion and design of the ensuing discourse I judge due unto the reader, that, upon a prospect of them, he may either proceed in its perusal or desist, as he shall see cause. That the state of religion is at this day deplorable in most parts of the Christian world is acknowledged by all who concern themselves in any thing that is so called; yea, the enormities of some are come to that excess that others publicly complain of them, who, without the countenance of their more bold provocations, would themselves be judged no small part or cause of the evils to be complained of. However, this, on all hands, will, as I suppose, be agreed unto, that among the generality of professed Christians, the glory and power of Christianity are faded and almost utterly lost, though the reasons and causes thereof are not agreed upon; for however some few may please themselves in supposing nothing to be wanting unto a good state of things in religion, but only security in what they are and enjoy, yet the whole world is so evidently filled with the dreadful effects of the lusts of men, and sad tokens of divine displeasure, that all things from above and here below proclaim the degeneracy of our religion, in its profession, from its pristine beauty and glory. Religion is the same that ever it was, only it suffers by them that make profession of it. Whatever disadvantage it falls under in the world, they must at length answer for in whose misbelief and practice it is corrupted. And no man can express a greater enmity unto or malice against the gospel, than he that should assert or maintain that the faith, profession, lives, ways, and walkings of the generality of Christians are a just representation of its truth and holiness. 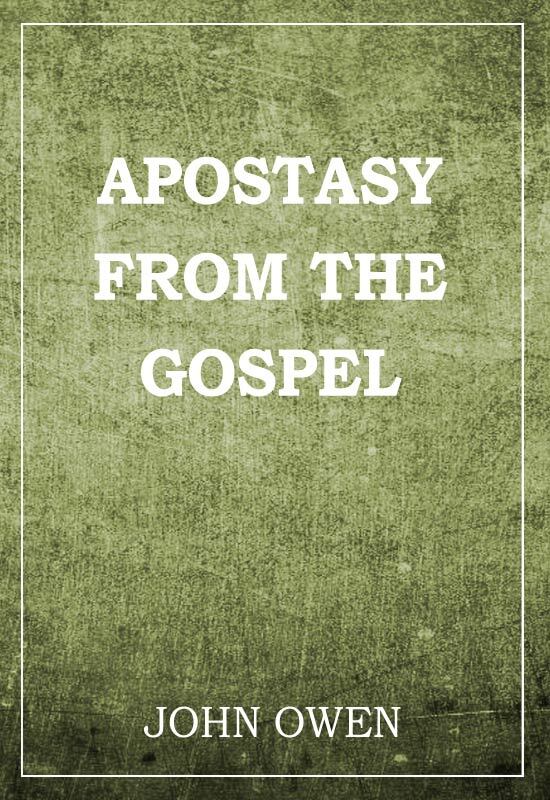 The description which the apostle gives of men in their principles, dispositions, and actings, before there hath been any effectual influence on their minds and lives from the light, power, and grace of the gospel, is much more applicable unto them than any thing that is spoken of the disciples of Christ in the whole book of God: "Foolish are they, and disobedient, deceived, serving divers lusts and pleasures, living in malice and envy, hateful, and hating one another." The way, paths, and footsteps of gospel faith, love, meekness, temperance, self-denial, benignity, humility, zeal, and contempt of the world, in the honors, profits, and pleasures of it, with readiness for the cross, are all [so] overgrown, and almost worn out amongst men, that they can hardly be discerned where they have been. But in their stead the "works of the flesh" have made a broad and open road, that the multitude travel in, which, though it may be right for a season in their own eyes, yet is the way to hell, and goeth down to the chambers of death; for these "works of the flesh are manifest" in the world, not only in their nature, what they are, but in their open perpetration and dismal effects: such are "adultery, fornication, uncleanness, lasciviousness, idolatry, witchcraft, hatred, variance, emulations, wrath, strife, seditions, heresies, envyings, murders, drunkenness, revelings, and such like," as they are reckoned up by the apostle. How these things have spread themselves over the face of the Christian world, among all sorts of persons, is manifest beyond all contradiction or pretense to the contrary. And that so it should come to pass in the latter times is both expressly and frequently foretold in the Scripture, as in the ensuing discourse will be more fully declared. Many, indeed, there are who are not given up in the course of their lives unto the open practice of such abominations; and therefore, in that grand defection from the truth and holiness of the gospel which is so prevalent in the world, the grace of God is greatly to be admired, even in the small remainders of piety, sobriety, and modesty, and common usefulness that are yet left among us. But those openly flagitious courses are not the only way whereby men may fall off from, and even renounce, the power, grace, and wisdom of our Lord Jesus Christ. For even of those who will not "run out to the same excess of riot" with other men, the most are so ignorant of the mysteries of the gospel, so negligent or formal in divine worship, so infected with pride, vanity, and love of the world, so regardless of the glory of Christ and honor of the gospel, that it is no easy thing to find Christian religion in the midst of professed Christians, or the power of godliness among them who openly avow the form thereof. By this means is Christianity brought into so great neglect in the world, that its great and subtle adversary seems encouraged to attempt the ruining of its very foundations, that the name of it should no more be had in remembrance; for wherever religion is taken off from a solid consistency by its power in the lives and minds of men, when it hath no other tenure but an outward, unenlivened profession, and the secular interest of its professors, it will not long abide the shock of that opposition which it is continually exposed unto. And whilst things are in this state, those who seem to have any concernment therein are so engaged in mutual charging one another with being occasions thereof, mostly on such principles of difference in judgment as have no considerable influence thereinto, as that a joint endeavor after proper remedies is utterly neglected. And there is yet another consideration rendering the present state of Christian religion in the world yet more deplorable. The only principle of evangelical obedience is sacred truth, and our faith therein. That alone is "the doctrine which is according to godliness;" and all acceptable obedience unto God is "the obedience of faith." Whatever men do or pretend unto in a way of duty unto him, whereof the truth of the gospel is not the spring and measure, which is not guided and animated thereby, it is not what God at present requireth, nor what he will eternally reward. Wherefore, although men may, and multitudes do, under a profession of that truth, live in open rebellion against its power, yet the wounds of religion are not incurable nor its stains indelible, whilst the proper remedy is owned and wants only due application. But if this truth itself be corrupted or deserted, if its most glorious mysteries be abused or despised, if its most important doctrines be impeached of error and falsehood, and if the vain imaginations and carnal reasonings of the serpentine wits of men be substituted in their room or exalted above them, what hope is there of a recovery? the breach will grow like the sea, until there be none to heal it. If the fountains of the waters of the sanctuary be poisoned in their first rising, they will not heal the nations unto whom they come. Where the doctrine of truth is corrupted, the hearts of men will not be changed by it nor their lives reformed. How all this hath come to pass in the apostasy of the Roman church, and what multitudes of professed Christians are carried down the stream of that defection, is acknowledged among us who are called Protestants. How, therein, by various degrees, the corruption of the doctrine of the gospel gave occasion unto the depravation of men's manners on the one hand, and the wickedness of men's lives on the other hand, led the way unto, and served to make necessary, a farther perverting of the doctrine itself, until at length it is hard to determine whether the multiplied errors of that church have made the reintroduction of true holiness and evangelical obedience, or the corrupt, worldly conversation of the generality of the members of its communion has rendered the restoration of truth, more difficult and unpracticable in their present station, is in part declared in the ensuing discourses, and deserves yet a more particular and distinct inquiry into. In general, certain it is that as error, with superstition, on the one hand, in the minds of the teachers or guides of the church, and sin, with conformity unto the ways, manners, and course of the present evil world in the body of the people, were mutually assistant unto their joint introduction into the profession and lives of Christians; so having possessed themselves of the visible church-state of many nations, they are so interwoven in their interests as to be mutually assistant to the exclusion of that truth and holiness which they have dispossessed. And whereas, moreover, they have found out the pretense of infallibility, stretched wide enough, in their own apprehensions, to cover, patronize, and justify the most enormous errors and highest inconformity of life unto the gospel, all hopes of their recovery are utterly defeated, but what are placed on the sovereign grace and almighty power of God. That there is also another endeavor of the same kind, and for the same general end, — namely, to corrupt the doctrine of the gospel, — though in another way, and unto another extreme, vigorously carried on in the world by the Socinians, and those who either absolutely or for the most part comply with them in their pernicious ways, is no less known, nor ought to be much less bewailed; for this endeavor also is attended with many advantages to give it success. The corruption of the doctrine of the gospel in the Roman church, as it sprang out of the ignorance, darkness, superstition, and carnal affections of the minds of men, so it is by the same means preserved. But although those things, in those ages and places where they abounded, gave sufficient and effectual advantage to its gradual introduction, and although the principles of it be now so inlaid with the secular interests of the generality of mankind in most of the nations in Europe as to secure its station and possessions; yet, in that emancipation of reason from under the bond of superstition and tradition, in that liberty of rational inquiry into the true nature and causes of all things, in that refusal to captivate their understandings in religion to the bare authority of men no wiser than themselves, which all pretend unto at present who dare venture on an ordinary converse in the world, it may seem marvellous how it should get ground and enlarge its territories, unless it be among them who are evidently bought off from themselves and from under the conduct of their own minds by some outward advantages, which they look upon as a valuable consideration. The true reasons hereof are inquired into in the ensuing discourse. But this new attempt, despising the baffled aids of superstition and carnal affections, which were in former ages predominant and effectual, takes shelter under a pretense of reason, and the suitableness of what is proposed in it unto the natural light and understandings of men. Whatever there is or is not in this matter of the relation that is between religion and reason, yet this being grown, through the increase of learning and converse, with a decay of the true fear of God, the very idol of this age, whoever will prepare a sacrifice unto it, though it be of the most holy mysteries of the gospel, he shall not fail of good entertainment and applause; and whoever shall refuse to cast incense on its altar shall be sure to be exploded, as one that professeth himself to be a fool, and even a common enemy unto mankind. Tell men that there are some things in religion that are above reason as it is finite and limited, and some things contrary unto it as it is depraved and corrupted, and they will reply (what is true in itself, but woefully abused) that yet their reason is the best, yea, only means which they have to judge of what is true or false. The liberty of men's own rational faculties having got the great vogue in the world (as indeed it is that which is most excellent therein of what is merely in and of it), it is fond to expect that it should not meet with a pernicious abuse, as every thing that hath any worth in it hath always done, when advanced unto such a reputation as might render it liable thereunto; for no man will ever adventure to prevail himself of that which others have no respect unto or do despise. Herein, then, lies the advantage of this sort of men, — the Socinians I mean, and their adherents, — in attempting to corrupt the doctrine of the gospel, and hereon depends all their success therein: First, they get the advantage of the ground in general, by pretending to reduce all men unto right reason, as the just measure and standard of truth. Put in any exceptions unto this proposal, endeavor to affix its bounds and proper measure, offer the consideration of divine revelation in its proper use and place, and you give away the cause among the many, who design at least to come in as common sharers in the reputation that reason hath got above all things in the world. By the confident use of this artifice, and the most absurd application of this principle unto things infinite and the most holy mysteries of divine revelation, have this sort of men, otherwise, for the most part, as weak and insufficient in their reasonings as their predecessors in the like attempts, got the reputation of the most rational handlers of sacred things! And when, being harnessed with this advantage, they proceed to the proposal of their opinions in particular, they have such an interest beforehand in the minds of men by nature, and have things so disposed and prepared for their reception, that it is no wonder if ofttimes they obtain success. For they are all of them designed unto one of these two heads: — first, "That there is no reason why we should believe any thing that reason cannot comprehend; so that we may safely conclude that whatever is above our reason is contrary unto it; and for what is so, it is destructive to the very natural constitution of our souls not to reject:" and, secondly, "That the mind of man is, in its present condition, every way sufficient unto the whole of its duties, both intellectual and moral, with respect unto God, and to answer whatever is required of us." Upon the matter, they pretend only to undertake the patronage of human nature, and the common reason and honesty of mankind, against those imputations of weakness, depravation, and corruption, in things spiritual, wherewith by some it is charged and defamed. And although it be contrary unto the universal experience of the whole world, yet might this design be allowed what commendation men please, so that the defense of nature were not undertaken expressly against the grace of our Lord Jesus Christ, the redemption that is in his blood, and the whole mystery of the gospel. But whereas it is a part of the depravation of our nature not to discover its own depravations, and all those opinions are suited to give it countenance against what it is not sensible of, and whereof it is not willing to own the charge, it is no wonder if with very many they receive a ready entertainment. And whereas they seem to interest men in that reputation which reason in the things of God hath obtained in the world, and thereby to countenance them in the contempt of others as weak and irrational, — things pleasing to the depraved minds of men, — it is more than probable that they will make a pernicious progress in one degree or another. So doth the subtle enemy of our salvation make his advantage of the disposition, inclination, and state of every age and season. Without his interposition, devotion of old might have been carried on without superstition, and in this age the use of reason might be vindicated without a rejection of the necessity of supernatural illumination and the great truths of the gospel. But the better any thing is, the more noisome it will be when once he hath mixed his poison with it. It were to be wished that the defection from the truth of the gospel complained of were confined unto the instances already mentioned, though in them the event be deplorable among multitudes of professed Christians. But the same, in some measure and degree, is come to pass among Protestants also. Men grow weary of the truths which have been professed ever since the Reformation, yea, of those in particular which gave occasion thereunto, and without which it had never been attempted; for besides that many fall off unto those extremes of error before insisted on, some on the one hand, and some on the other, the reformed religion is by not a few so taken off from its old foundations, so unhinged from those pillars of important truths which it did depend upon, and so sullied by a confused medley of noisome opinions, as that its loss in reputation of stability and usefulness seems almost irreparable. Hence are divisions, debates, and animosities multiplied about the principal articles of our religion, whereby those tongues are divided and hands engaged in mutual intestine conflicts, which all united were few enough to preserve the remainders of the protestant profession from the artifices and power of him who doth not despair once more to impose his yoke on the neck of the whole Christian world; for nothing can more prepare the way of his success than the shaking of the doctrine of the reformed churches from that consistency wherein for so long a time it stood firm and stable against all opposition. But there is in this matter nothing absolutely new under the sun. No instance can be given of any church or nation in the world, which ever received the profession of the gospel, that did not, sooner or later, either totally or in some considerable degrees, fall off from the doctrine which it reveals and the obedience which it requireth. Men do but deceive themselves who suppose that the purity of religion will be preserved in confessions and canons, whilst some make it their business to corrupt its truth, and few or none make it their business to preserve its power. And, therefore, at this day, on one account or other, the defection is almost catholic; for it is in vain for any to pretend that the present general visible profession of Christianity doth in any tolerable measure answer the original pattern of it in the Scripture, or the first transcript thereof in the primitive believers. And that which, in this degenerate state of things, doth principally exercise the minds of considerate men is, whether there ought to be an immediate endeavor to reduce as many as will or can comply therewith unto the original standard in profession, obedience, and worship, or whether the present posture of things be not so far to be complied withal as to preserve therein the small remainders of religion among the community of Christians, who are not capable of such a reduction. The difference that is in the judgments of men herein is the ground of all those lesser controversies and opinions, which will be composed and have an end put unto them when God shall graciously afford unto us all a fresh revival of evangelical faith, love, and holiness, and, I fear, not before. Upon some considerations of this state of things in the world, and under fears, perhaps not altogether groundless, that a farther progress will yet be made in this woeful declension from the power and purity of evangelical truth, I set myself unto a general inquiry what might be the secret causes and reasons whence it is that all sorts of persons, in all ages, have been so prone to apostatize from the sincere profession of the gospel in faith and obedience, as experience in the success of things manifests them to have been. And, moreover, an occasion was administered unto thoughts of that nature from my engagement in the exposition of the sixth chapter of the Epistle to the Hebrews, wherein the apostle so eminently describes the nature of total apostasy, with the end of apostates in the righteous judgment of God; for considering the greatness of that sin, and the terror of the Lord with respect thereunto, and not knowing whereunto the daily advance of impiety, profaneness, and abominable lusts, with ignorance, error, and superstition, might at length arrive, thoughtfulness of what might be required at the last day of myself, though cast in a men and obscure condition in the world, did not a little exercise my mind. The glory of God, the honor of Christ and the gospel, and the eternal welfare of the souls of men, being eminently concerned, I knew not how he could have the least satisfaction in the truth and reality of his own Christianity who was not greatly affected with, and did not really mourn for, their suffering in this woful apostasy. What I have attained unto in that kind I have no reason to declare, but hope I may say, without the offense of any, that as I verily believe neither my prayers nor tears have been proportionable unto the causes of them in this matter, so I can and will say that they have been real and sincere. I was not ignorant of the weakness and impertinency of all thoughts that a person of my mean condition in the world, disadvantaged by all imaginable circumstances that might prejudice the most sincere endeavors, should attempt any thing with respect unto the relief of nations or national churches, which yet are not without the verge of this fatal evil. To mourn for them in secret, to labor in prayers and supplications for a more plentiful effusion of the Spirit of Christ upon them for their good, are things which, although they may despise, yet God will accept in and from the meanest of them that call on his name in sincerity. Unto whom other opportunities and advantages are granted, from them other things will be required; and it is, no doubt, a great account they have to give who are admitted and esteemed as those whose place and duty it is to stem the current of overflowing impiety and profaneness, and effectually to apply the sovereign remedies of all those evils unto the souls and consciences of men. Sad will it be for them under whose hand this breach shall be, if they endeavor not to prevent it with their utmost diligence, and the open hazard of all their earthly concerns. A learned writer of the church of England affirms, "That there were two no small sins of noisome hypocrisy that he had espied among others; — the one, an opinion that there can be no fit matter of martyrdom in a state authorizing the true profession of that religion which among many we like best, and, left unto ourselves, would make choice of; the other, which in part feeds this, a persuasion that mere errors in doctrine or opinion are more pernicious than affected indulgence to lewd practices, or continuance in sinful courses, or open breaches of God's commandments." And after he had declared that "ministers of the gospel may deny Christ, or manifest their being ashamed of the gospel, by not opposing his word at they ought unto the sins of men," he adds, "That any age, since Christian religion was first propagated, hath wanted store of martyrs, is more to be attributed unto the negligence, ignorance, and hypocrisy, or want of courage in Christ's ambassadors, or appointed pastors, than unto the sincerity, mildness, or fidelity of the flock, especially of the bell-weathers or chief ringleaders," Jac. tom. 1 b. 4. c. 4; with much more to the same purpose, which well deserve some men's consideration before all things of this nature be too late. But there is a duty of trading with a single talent; and if there be a ready mind, it is accepted according to what a man hath, and not according to what he hath not. And this alone hath made me adventure the proposal of my thoughts about the nature, causes, and occasions of the present defection from the gospel and decay of holiness, with the means of preservation from its infection, and prevention of its prevalency in private persons; for it is to no purpose to shut up all endeavors under fruitless complaints, nor yet to attempt an opposition unto effects whose causes are not well known and considered. Wherefore the investigation and declaration of the causes of this evil are the principal subject of the ensuing discourses. And if I have attained but thus much, that persons of more understanding and abilities to find out the hidden springs of the inundation of sin and errors in the Christian world, and who have more advantages to improve their discoveries unto public good, shall be hereby excited to undertake so necessary a work and duty, I shall esteem myself to have received a full reward. There is one thing yet whereof I must advise those readers which are pleased to concern themselves in any writings of mine. The publishing of this exposition of some verses of the sixth chapter of the Epistle unto the Hebrews may have an appearance of my deserting that continued exposition of the whole epistle which I had designed. But as I know not what I may attain unto in the very near approach of that season wherein I must lay down this tabernacle, and the daily warning which, through many infirmities, I have thereof, so I am resolved whilst I live to proceed in that work as God shall enable, and other present necessary duties will allow. And the sole reason, added unto the seasonableness, as I supposed, of this discourse, why this part of the Exposition is singly proposed unto public view, was because the thoughts which arose thereon were drawn forth into such a length as would have been too great a digression from the context and design of the apostle.